We are great alternative to the larger insurance companies and pride ourselves on providing personalized service, competitive pricing and attractive benefits to our policyholders. 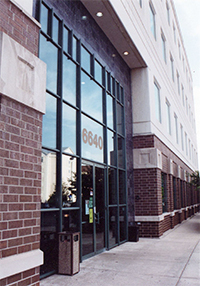 The company’s headquarters is in Bedford Park, 6640 S. Cicero Ave., Bedford Park, IL 60638, www.USHandC.com 1-800-875-4422 or 1-708-475-6100. Consistently exceed customer expectation through exceptional service, innovative marketing, competitive products and new programs, and leading edge automation. Put it all together and you have Quality Products from Caring Professionals at United Security Health and Casualty. ©2019 United Security Health and Casualty Insurance Company. All Rights Reserved.